In his momentous new book, SOCRATES IN LOVE, Oxford Fellow and Classics Professor Armand D’Angour presents a revisionist biography of a thinker whose legacy has dominated Western philosophy since its inception 2500 years ago. Drawing on neglected sources and uncovering new evidence, D’Angour presents a new account of Socrates’ youth, examining how his early years informed the ideas that led him to be recognised as the pre-eminent thinker of his age and beyond. There is much received wisdom in the standard narrative of Socrates’ life: that he was of low birth and never enjoyed financial means of his own; that he undertook military service to earn a few drachmas; that he was uneducated in youth, and untrained in music and dancing; that he was fat, bald and ugly; and perhaps most importantly of all, that his philosophical approach and ideas have no obvious influences or antecedents. But a re-examination of Socrates’ early life casts him in a very different light, suggesting he was well schooled from youth, that he was courageous and physically strong, and wealthy enough to serve as a heavy-armed infantryman. Most sensationally of all, D’Angour identifies a woman as the chief influence on Socrates’ early thinking, placing her firmly at the very heart of his formative years as a thinker. 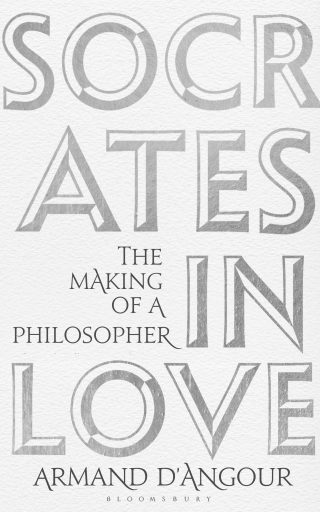 In Plato’s Symposium, Socrates says that, “long ago, I learned all about love from a clever woman”, supposedly a fictional character named Diotima. But renewed scrutiny of the text of Symposium and of relevant historical evidence points to Diotima being Plato’s disguise for a real woman: Aspasia of Miletus. Aspasia was legendary in her day, the cleverest and most influential woman in Athens, celebrated and reviled in equal measure. As partner of Athens’ leading citizen, Pericles, for more than a decade she was an essential part of his circle of thinkers, artists and politicians. She was well known as an expert on eloquence and as a sought-after advisor on marital relationships. D’Angour presents the evidence that Aspasia was a fundamental intellectual influence on Socrates — thus making her instrumental in the birth of the Western philosophical tradition. Much of what we know of Socrates comes from Plato and Xenophon, men who first knew him only when he was in his fifties, as an unprepossessing philosopher who went around barefoot and in ragged clothes. What emerges from D’Angour’s vivid portrayal is the young Socrates: an athletic wrestler and dancer, a passionate lover, and a heroic warrior whose life and thinking was changed by his encounter with the most famously erudite woman of the age.